Gourmet cashew turtles. 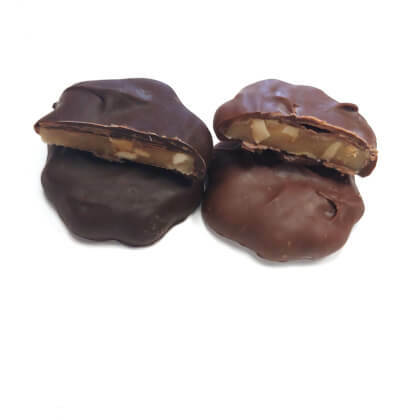 Crunchy cashews and gooey caramel smothered in dark chocolate. A twist to traditional turtles. Pearls .5 lb box.